Oliver has been loving his mornings at preschool nearby. He gets himself dressed with enthusiasm, straps on his little backpack and says goodbye without looking back! 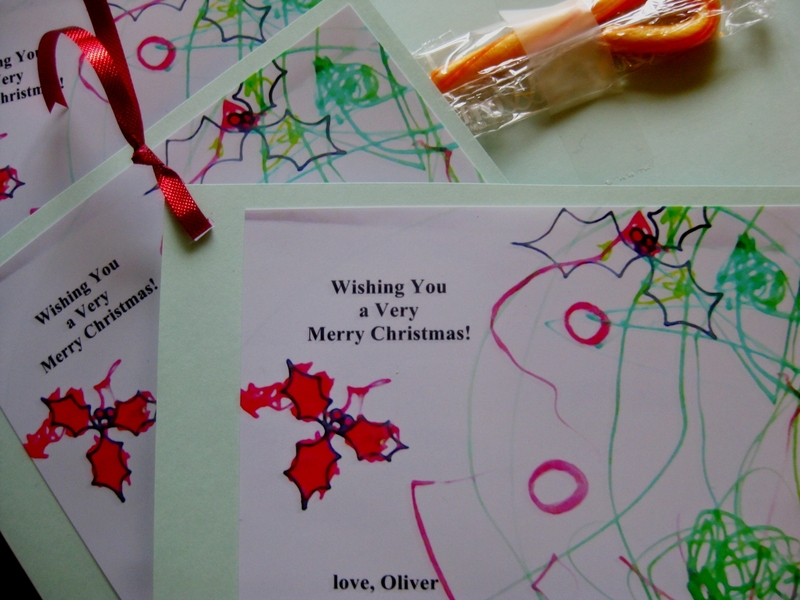 On the last day before Christmas break, Oliver handed out cards he'd coloured himself to all his little friends! I played with it in my photo editor to brighten, sharpen and remove a pen lid that got into the shot. 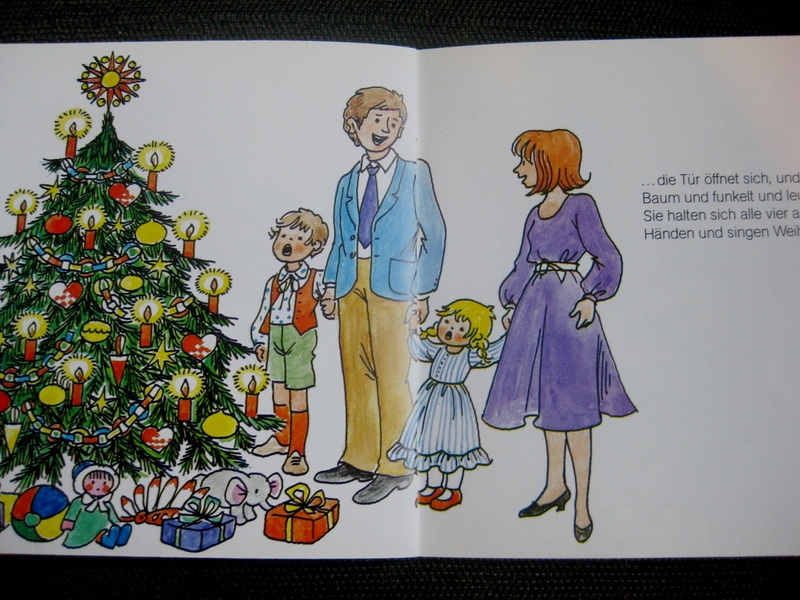 Also in the editor, I added a Christmas greeting and Oliver's name. I had the final product printed at a local printshop, then stuck the photos to blank postcards. 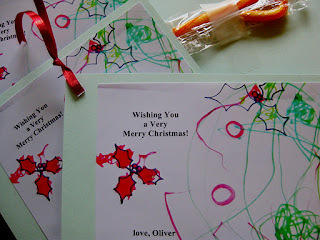 As a final flourish, I taped a small fruit-flavoured candy cane to the back and drew a curly ribbon through the top corner of each card. Oliver distributed them with such pride! I use this method often to include a Oliver's (sometimes accidental) artwork into my collection of note and greeting cards. 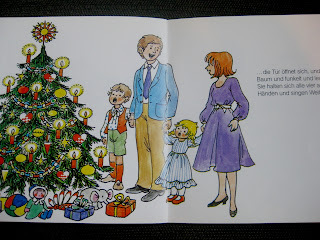 Also this week, we are reading a very sweet German Christmas story book from the mid-80's called "Am Heiligen Abend" . Oliver is very excited about the days to come! Hi! This is such a lovely idea. I bet all the recipients were very happy with the cards. Hi, you commented on one of my posts about my daughter and her gingerbread cookies, so I wanted to check out your blog. Love Oliver's name and his little Christmas gifts for his class! I was wondering how you came across my blog? Thanks for leaving a comment. Thanks Lot! The four year old recipients were definitely surprised! Stephanie: Thanks for stopping by! It's fun swapping preschool project stories. Hm...hard to remember where I came across your blog...likely you posted on a blog that I frequently read? I'll let you know if I remember! 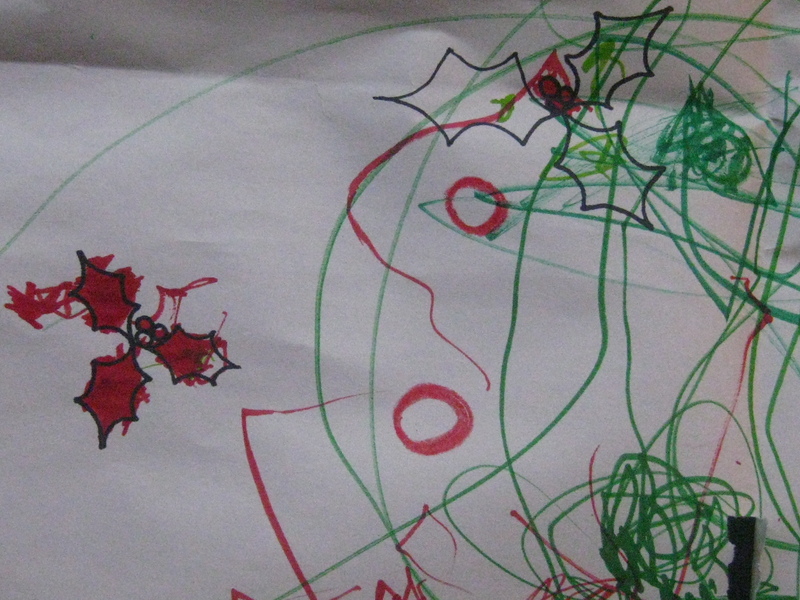 What lovely Christmas cards... these sorts of things mean so much don't they?! Merry Christmas from our family to yours!